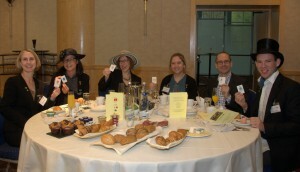 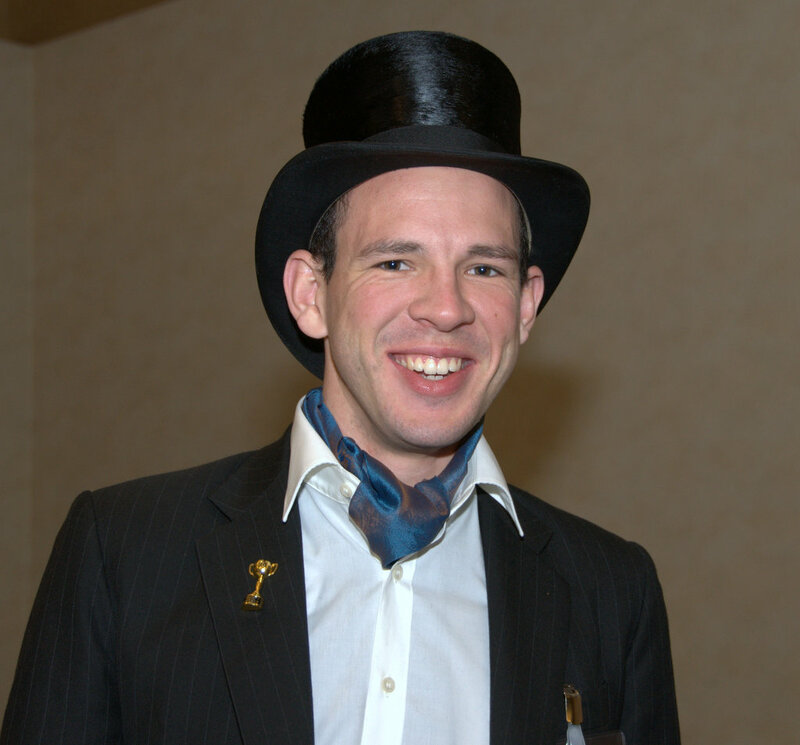 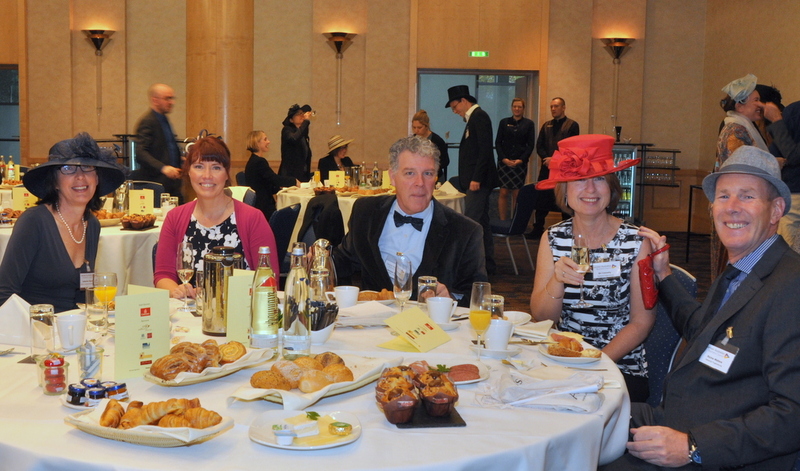 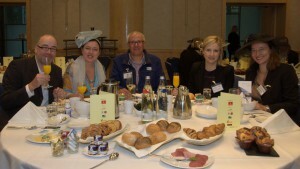 Fascinators, top hats, straw hats and headpieces galore – the annual Melbourne Spring Racing fashion arrived at the Hilton in Frankfurt on a foggy Tuesday morning. 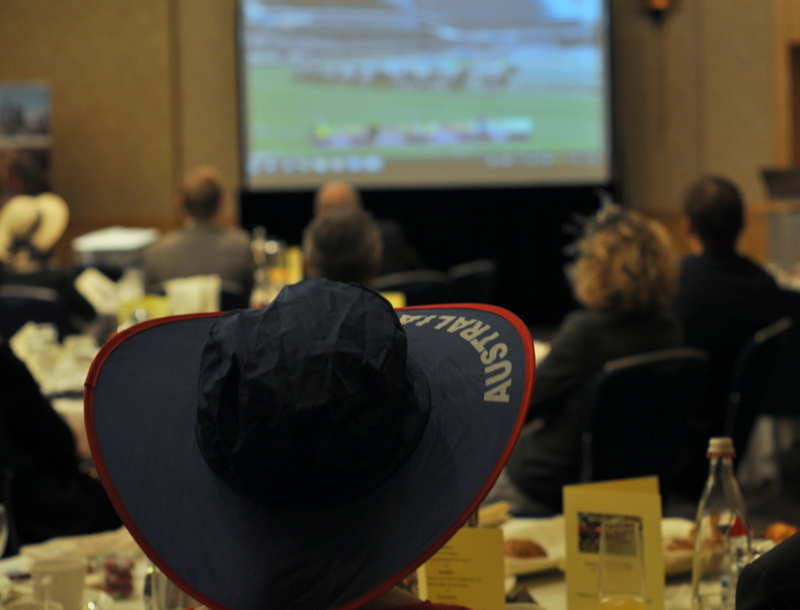 Our German Australian Business Council members and guests gathered for a business breakfast buffet with a touch of Melbourne Cup Couture. 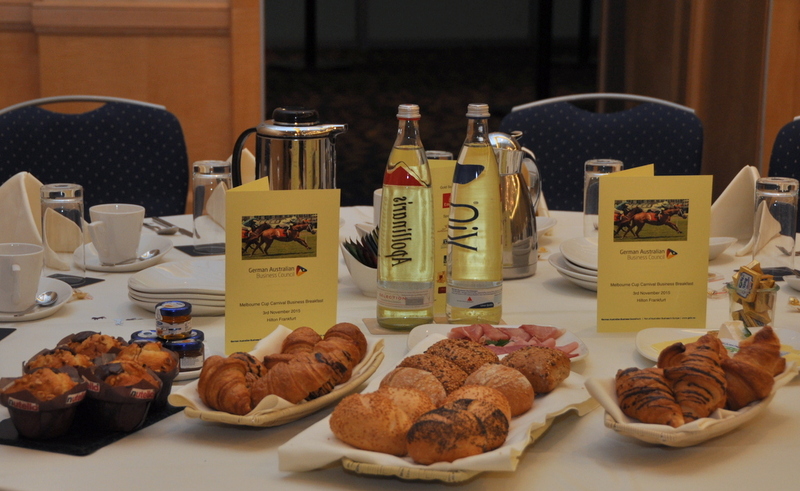 Guests enjoyed networking over a delicious sekt breakfast while hearing a presentation from Carsten Meier (Investment Director for the State of Victoria) about investment opportunities in Victoria followed by a delayed telecast of the race. 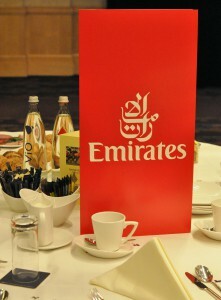 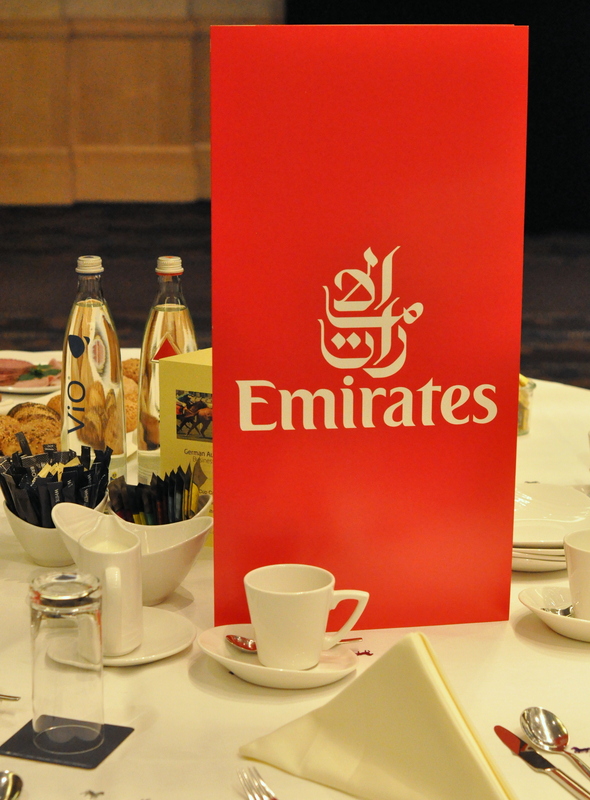 Thanks to our generous corporate sponsor Emirates who provided the ultimate major prize in our sweepstake: a return Emirates flight for two to Melbourne including two Victoria Racing Club passes to AAMI Victorian Derby Day and Emirates Melbourne Cup Day 2016. A thrilled Jacqueline Fehse was the lucky winner of this. 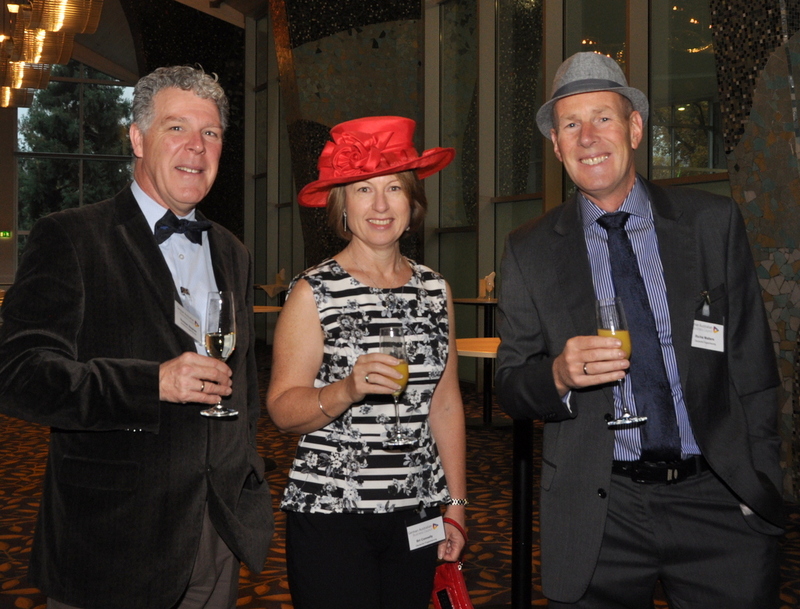 Other lucky winners included Liz Holland for her stylish race outfit and Laurence Hendry for his elegant outfit in the gentlemen’s category. 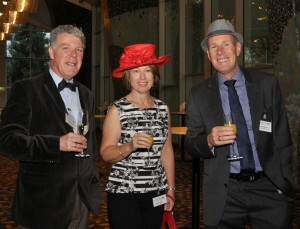 Both Liz and Laurence received a bottle of Australian Sparkling wine donated by Gogan Fine Wines. 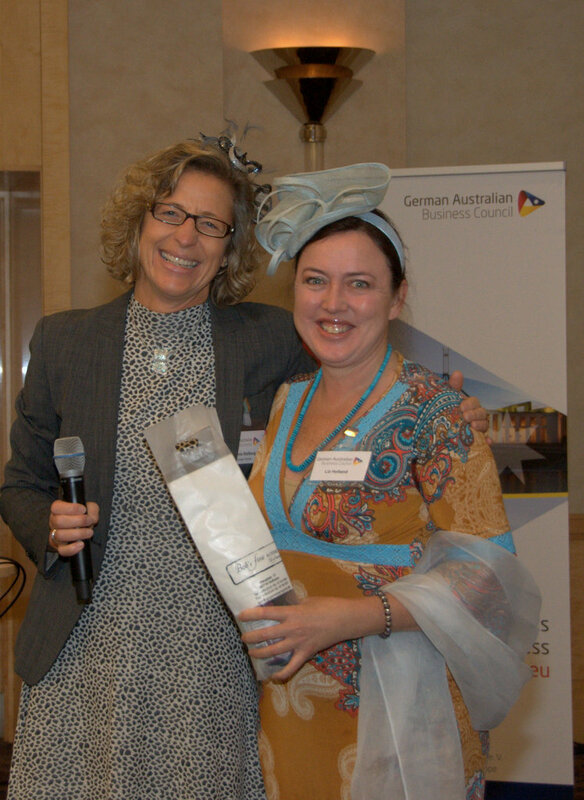 There were also generous prizes from Olaf & Karen Czirr from the Australien Wine Store for those guests who drew the winning and losing horses in the sweep. 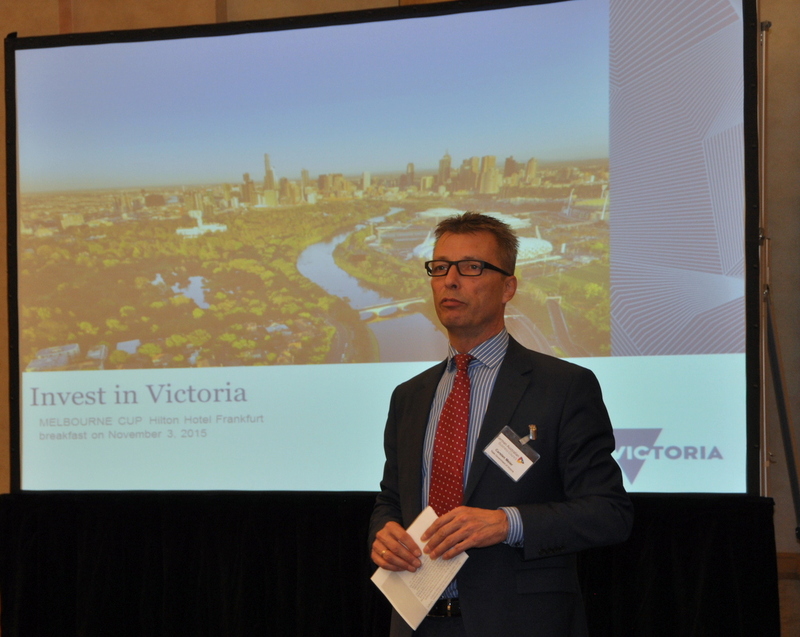 Thanks also to the Melbourne Business School and the State Government of Victoria and Aesop for their support in sponsoring this successful event.